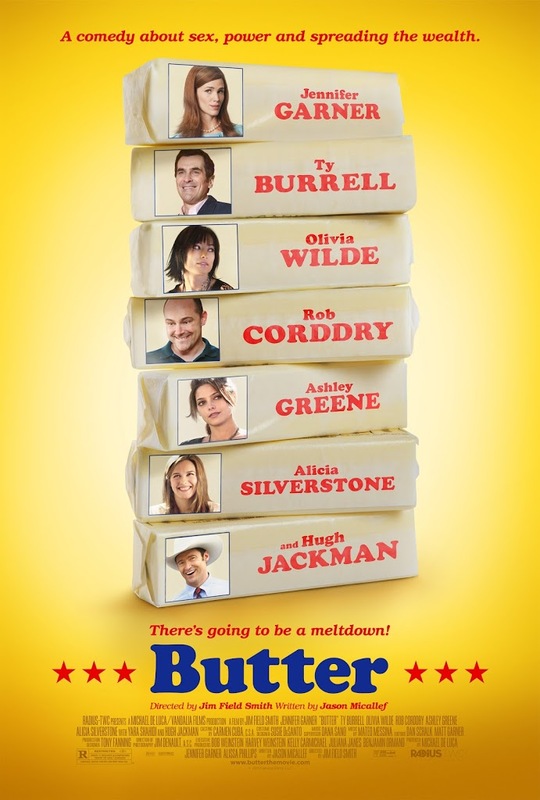 We haven’t seen this one yet, but it looks intriguing – a political satire about championship butter carving, of all things. 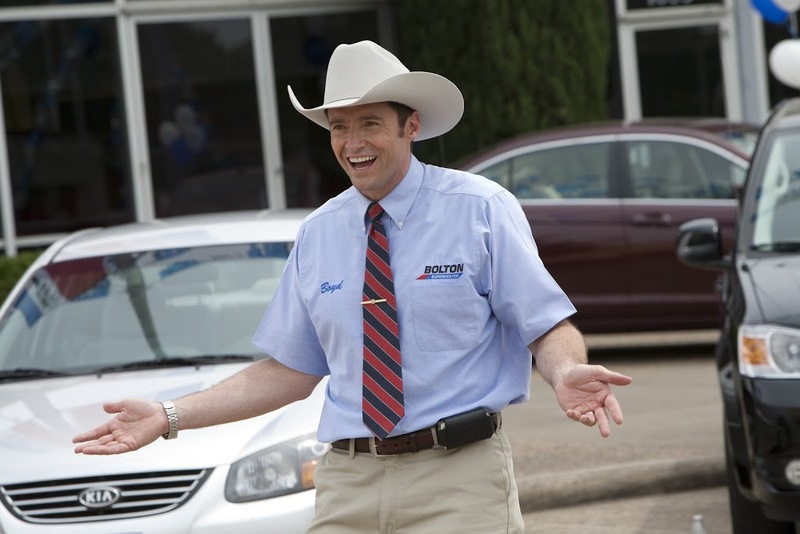 The film boasts a great cast that includes Jennifer Garner, Ty Burrell, Rob Corddry, Hugh Jackman, Olivia Wilde, Alicia Silverstone, and Ashley Greene. Butter will be in theaters October 5, but its currently available online via iN DEMAND and iTunes. The film was written by Jason Micallef and directed by Jim Field Smith (She’s Out of My League). A tale of competition at its most cut-throat, Butter surveys the raw ambition of Laura Pickler (Jennifer Garner), the wife of Bob Pickler (Ty Burrell), Iowa’s long-reigning champion butter carver. For 15 years, Laura has relished her high-profile role as the beautiful, loyal helpmate to her affable, artistically gifted husband. But when Bob is pressured to retire and allow someone else a chance at glory, an indignant Laura decides to enter the competition herself. She is first in line on sign-up day, only to see her odds of victory fall below 100% with the arrival of an unlikely yet formidable contender: 10-year-old Destiny (Yara Shahidi), the African-American foster child of local couple Julie and Ethan (Alicia Silverstone and Rob Corddry). And that’s not all. Bob’s would-be mistress, bad-girl stripper Brooke (Olivia Wilde) also declares her candidacy, as does his #1 fan, Carol-Ann (Kristen Schaal). Screenwriter Micallef was taken by the butter sculptures he saw at the Iowa State Fair during a post-college road trip. “The butter sculptures were absolutely amazing. They’re life-sized, and they get bigger and better every year, and people take twenty or thirty days to create one. It’s just an incredible process. I thought that would be a great backdrop for a screenplay about ambition and competition,” Micallef states in the press notes. Director Field Smith saw Micallef’s screenplay as being about more than just butter sculpting. “Being British, I guess I was able to bring something of an outsider’s perspective to the world of middle America we portray in the movie. I didn’t want Butter to be a sneering parody, but rather a celebration of that world. We are not satirizing the people of small-town Iowa, nor the world of butter carving, but instead using those characters and their world as a microcosm of the American political landscape right now,” Field Smith said (again, taken from the official press release).